1. ONCE upon a time it snowed in Ipswich, or so one man said. In 1934, the QT published a story recounting the experience of a park curator named FW Turley who said he saw snow falling in Queen's Park. According to the article, Mr Turley was on his way home from Redbank when he saw "unusually heavy clouds in the west". Fearing a severe storm was on the way, Mr Turley "made haste". "Shortly after 5pm Mr and Mrs Turley were watching the progress of the storm when they were amazed to see snow begin to fall," the article, published on Monday, September 3, states. The article was titled, 'Large dancing snowflakes'. "Mr Turley observed that this was the first time he had seen snow fall in Queensland during his 45 years' residence here. "The snow continued to fall for fully two minutes. No snowfall has been recorded in Ipswich since but it's not unheard of in Queensland. Just a few years ago snow fell in various Queensland towns (more on this below). This winter, forecasters have predicted a cold one with some saying there's a chance of more snow. 2. STANTHORPE is well known as one of the coldest areas in Queensland. In July 1895, the region hit a record low of -11 degrees. In 1896 heavy snowfalls were recorded at Dalveen, Stanthorpe and Toowoomba. It was one of 18 snowfalls recorded on the Granite Belt and Darling Downs since record keeping began. 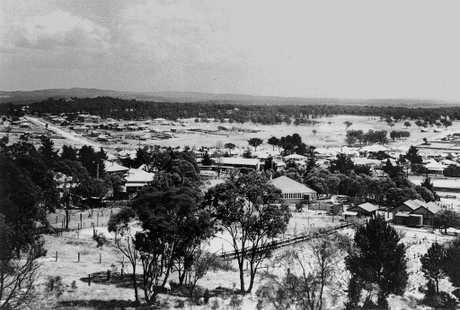 In late August, 1929 the snowfall in Stanthorpe was regarded as one of the heaviest ever received. According to an article in the Brisbane Courier, snowfall in 1939 at Stanthorpe was "an inch thick and had drifted against fences and logs." Again in June 1949, light to moderate snow fell on the region, the heaviest in 20 years. Only a few years ago heavy snow fell in Stanthorpe where locals recorded up to eight cm of snow overnight on July 17, 2015. 3. WARWICK is also known as one of Queensland's coldest regions. In July 1901 snow fell in Warwick. The same unusually cold spell blanketed Stanthorpe too and, unsurprisingly Warwick residents were also treated to a winter wonderland in 2015. This year forecasters are predicting history may repeat for the state's coolest regions. In January, Hydrologist Dave Taylor, who runs Facebook page Brisbane Weather, predicted southern Queensland would have one of the coldest winters yet, with snow falling from Stanthorpe possibly all the way up to Warwick and Toowoomba. Mr Taylor uses sunspots to produce long-term weather outlooks. "When we get into a phase when sunspots are a minimal, usually we have a very cold winter," he said in January. "At the moment we're swinging to a long period of less activity and it's (sunspots) going to be quite low so that means a cold winter." 4. CENTRAL Queensland is usually warm all year round but in 1965 light snow was recorded on the mountains west of Mackay. The same weather system also impacted the northern Warrego to Maranoa, and the Darling Downs. The forecaster who predicted snow for the state's southern areas this winter, believes snow could also be seen again on the Clarke Ranges. 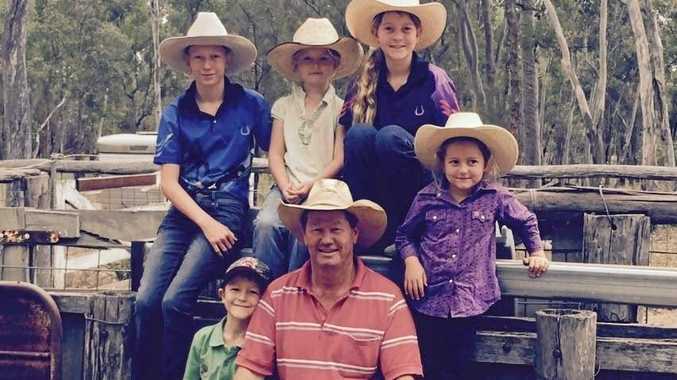 Mr Taylor believes it will snow in the small township of Eungella. 5. KINGAROY became incredibly popular in the 2015 snow event that blanketed parts of Queensland as tourists rushed to see the snow capped mountains. 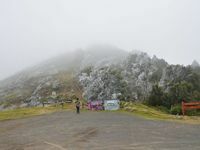 Although, it wasn't quite snow - instead white frost and ice covered the mountains with the heaviest hitting near Mt Mowbullan. It wasn't the first time snow was recorded in the area. In the first week of July, 1984 snow and sleet covered the Bunyas. The same event covered Toowoomba, the Granite Belt and Springbrook Lamington Plateau in snow. 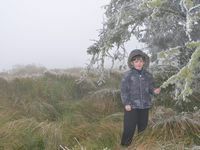 Heavy hail hits the Bunya Mountains: Cool conditions gave the Bunya Mountains a layer of frost and heavy hail this morning.